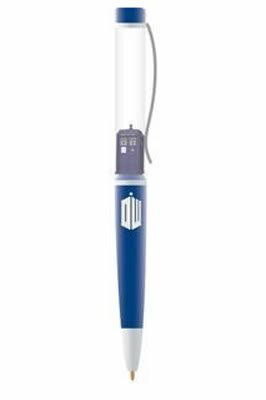 Fans of the cult classic BBC show, Dr Who, will love being able to show off their love of the series with a cool collection of Doctor Who school supplies to carry and take to classes. Looking forward to starting back at school in the Fall, my geek fan will have a new bag as well as some new school items and gear to show off that geeky taste. 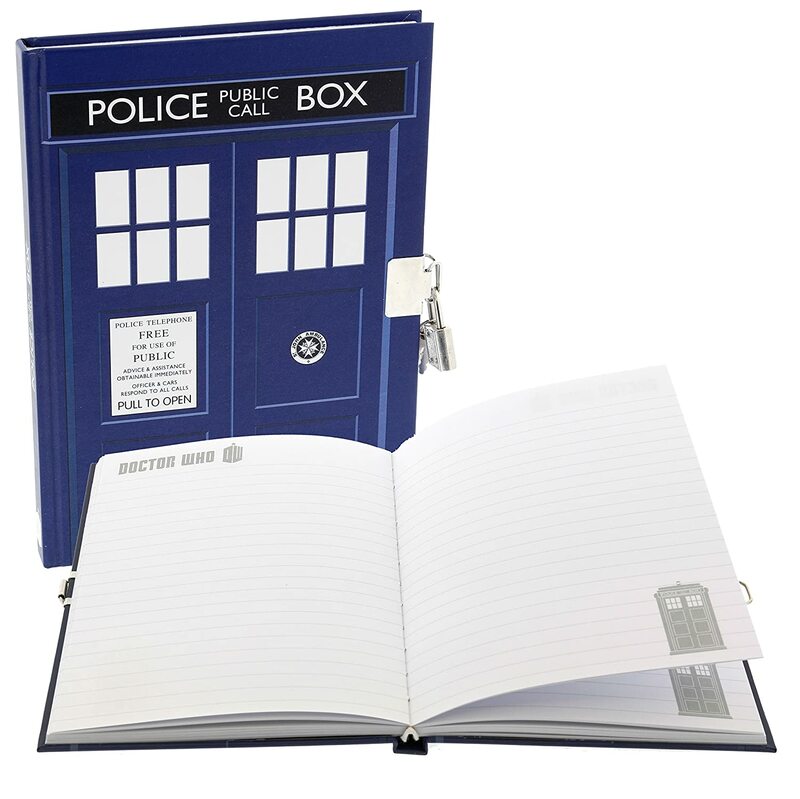 We’ve traveled through time and relative dimensions in space to check out the current school supplies for Whovians that you can get. 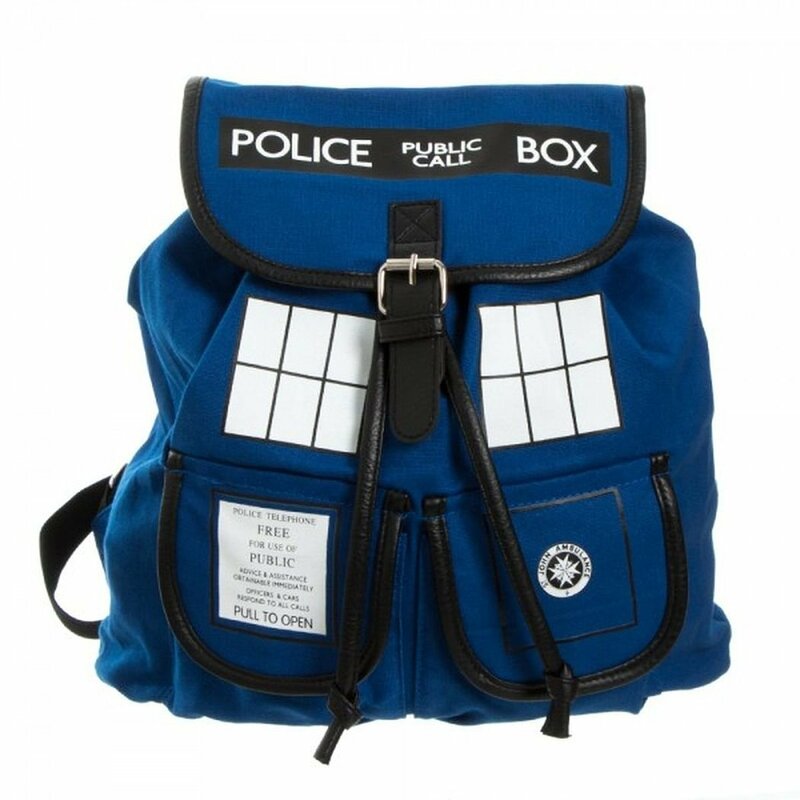 ⭐ A lot of the actual Dr Who backpacks and rucksacks are really not big enough to hold folders required for school. 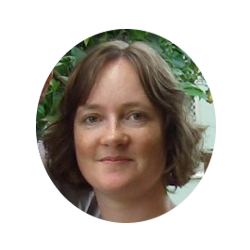 Some of them are just fine for recreational purposes or for very young kids. 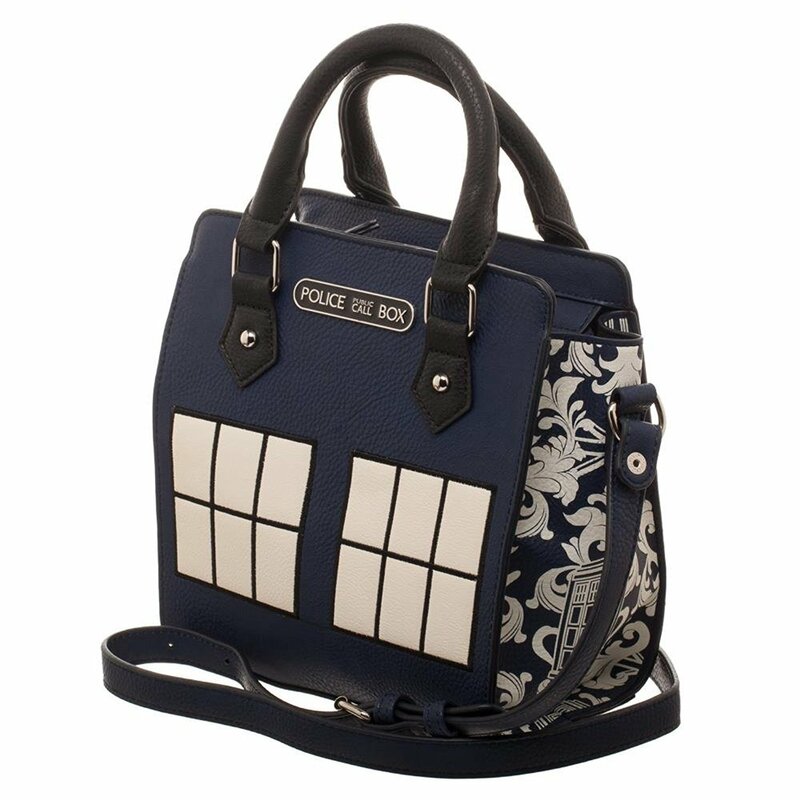 So, do check the size out before buying any Dr Who school bag. My own daughter loves this fun science fiction show and watches the new series of 9th, 10th, 11th and 12th Doctor as well as all the classic shows repeated on TV. 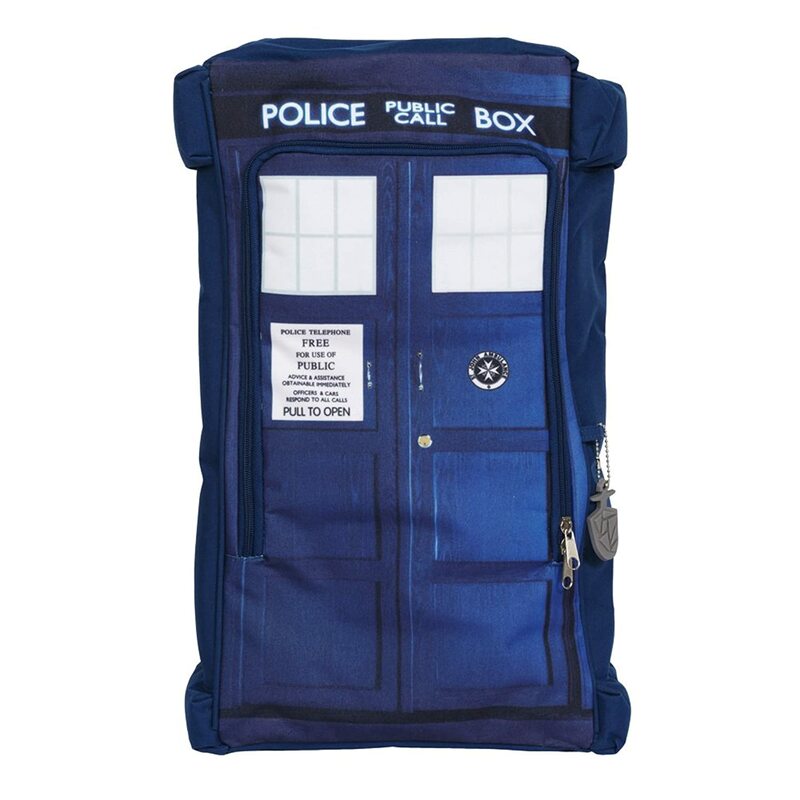 This blue bag is modeled on the police box Tardis design which has become truly iconic. 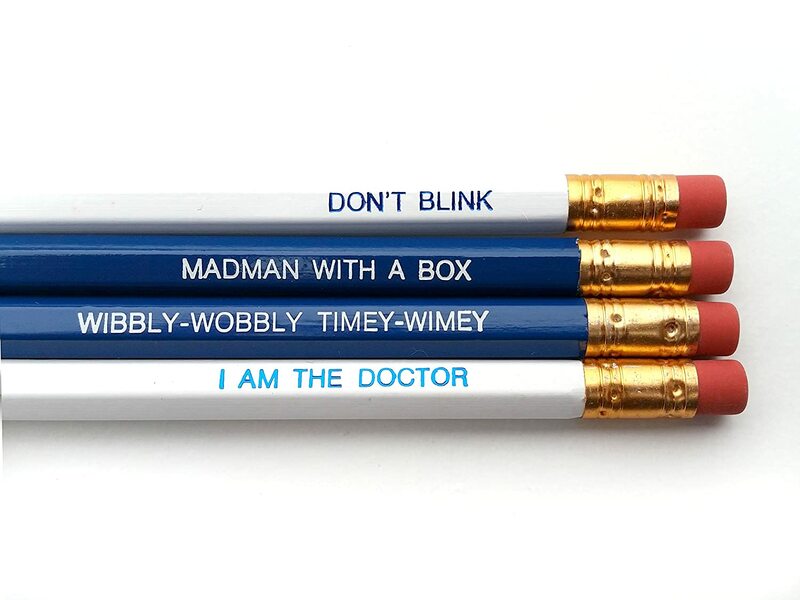 The design is just the thing for a big fan of Dr Who to use. Look for the largest sized bag you can for carrying school supplies and also for something that appears to be sturdy and practical. 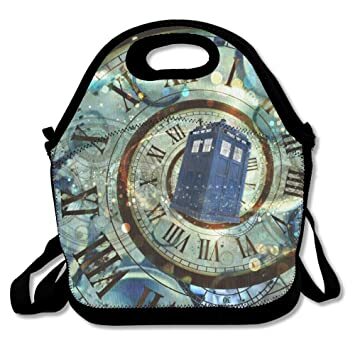 I liked an arty grunge style Tardis design with the black paint splashes across the front but you can get lots of other Dr Who school bag designs. Get ones that feature the different Doctors and even some of the popular items and monsters too. So you can pick out just the design that you really like or one featuring a specific character that you like. 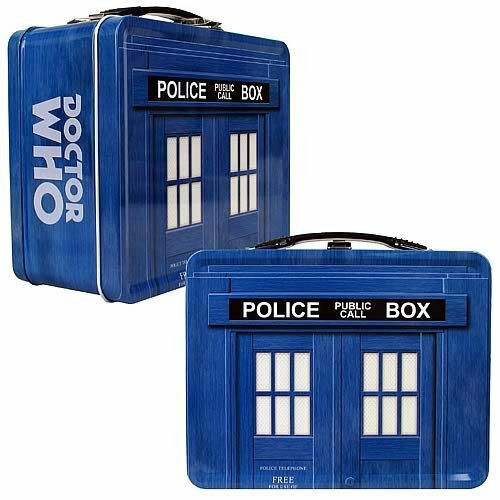 This lunch box tin tote is based on the Tardis design. It has the instantly recognizable Dr Who shade of blue, the tops of the front doors and the Police Public Call Box sign at the top. The tin should be big enough to hold a school packed lunch and the metal will keep food from getting easily squashed. 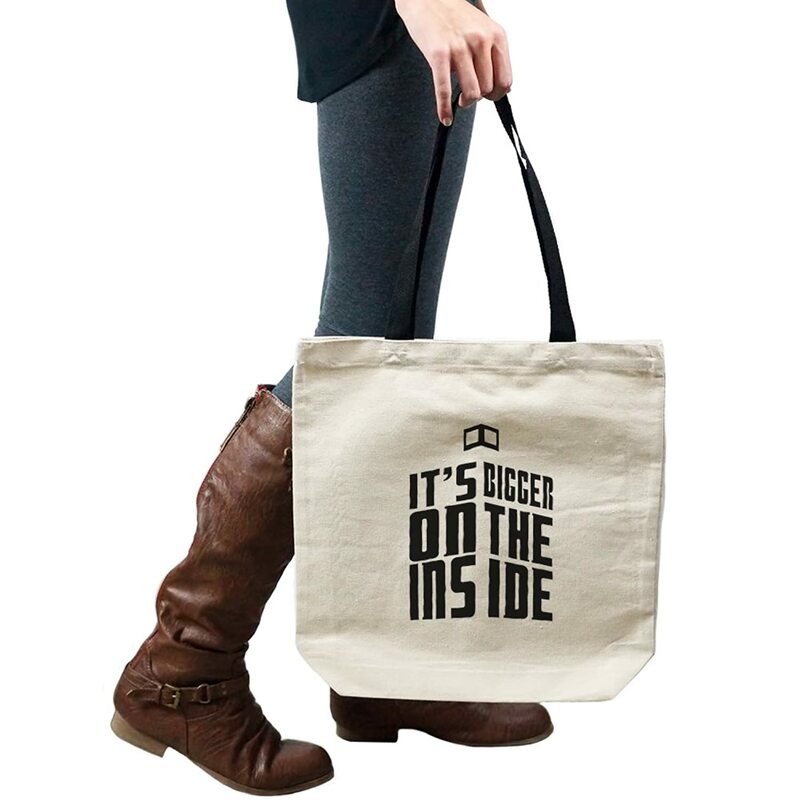 Could it even be bigger on the inside too. Some themed sticky notes are ideal for popping in fun memos with cool quotes to give kids a happy day while away at school. 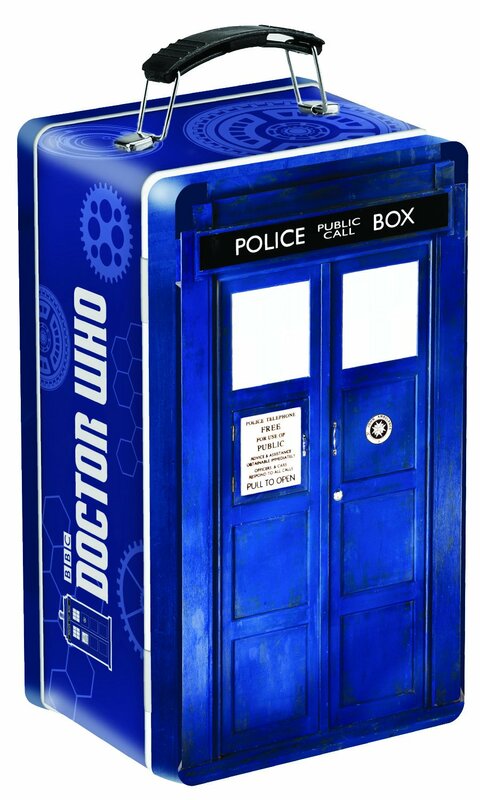 We love anything featuring the cool traveling time and space machine aka Tardis which is modeled on the quaint old police public call box which was used from 1877 in New York. 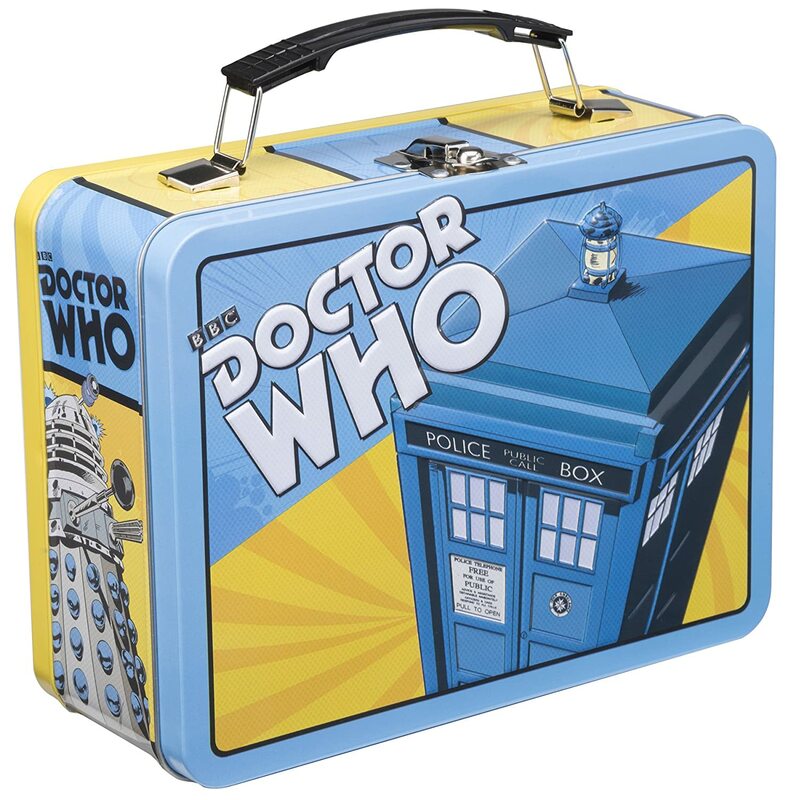 ⭐ If you want to pop some surprises in the lunch tin for the young Whovian, look out for the themed cookie cutters which you can use to make shaped cookies or to trace around with a knife to cut shaped sarnies. 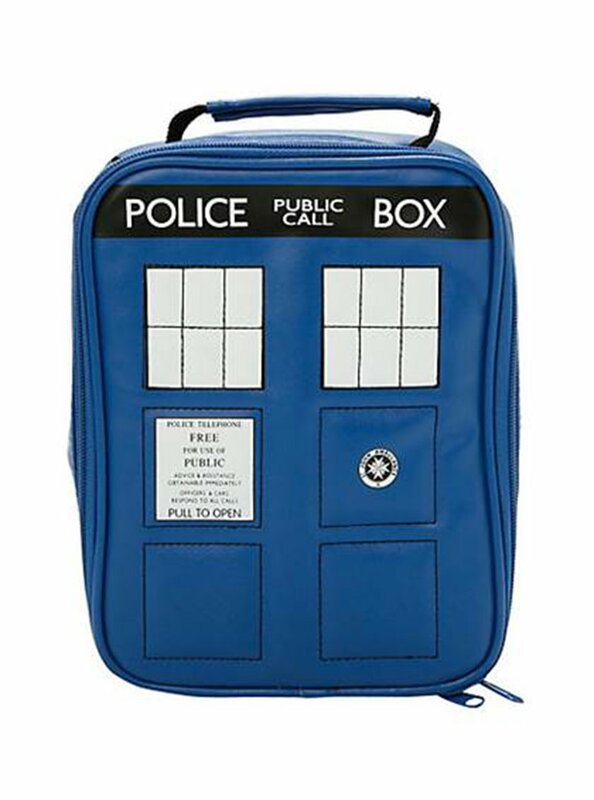 Instead of the tin option, there's also a great looking Dr Who lunch bag. This cooler bag is insulated with a zip closure and a carry handle. I love how authentic it looks with the Tardis design and the blue. This can match up easily along with a backpack, of which there are a number of variations, as well as drink bottles too. 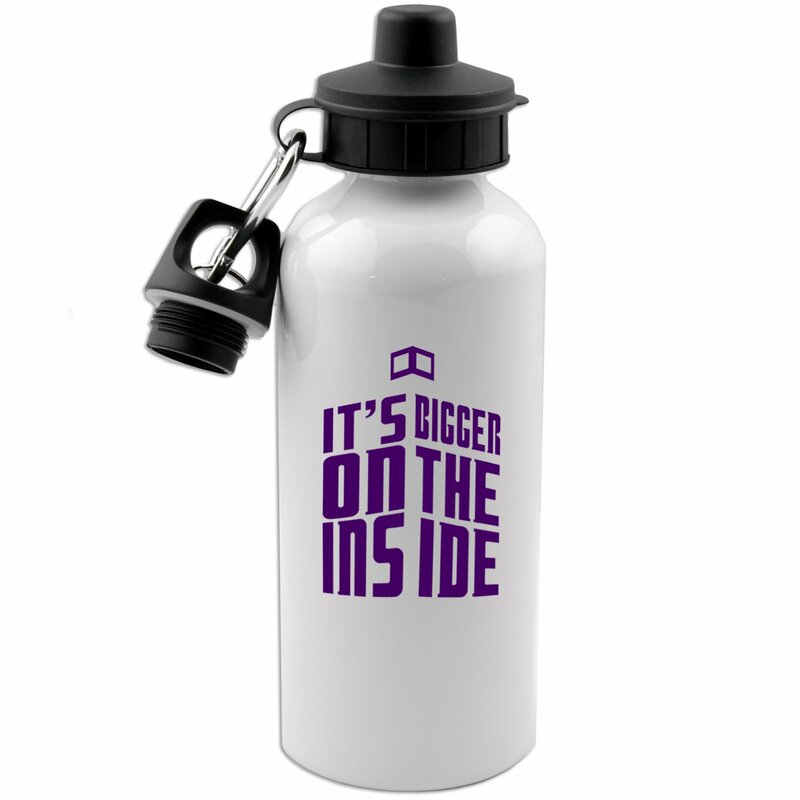 I love this "bigger on the inside" design. There is also a fun looking water bottle based on the 11th Doctor played by Matt Smith. The design is instantly recognizable as his character with the shirt, the brown striped jacket and the bow tie. Bow ties are cool, didn't you know. The water bottle is one of a number in this line. There's one based on the Tardis as well as the 4th Doctor, Tom Baker, with his stripy scarf. Safety-wise, check that any water bottle you buy is BPA free so free from any potentially harmful chemicals. You also might need to check if your Doctor Who water bottle will hold enough for the intended use at school. Matt Smith definitely made bow ties very cool and even pulled the look off while wearing a cowboy hat in one episode. He also made a Fez hat just a bit cool as well but you'd look a bit silly wearing one of those to school. If you don’t want to hunt around for matching pens and pencils to buy, this pencil case already comes filled with pen, pencil, ruler, eraser, sharpener and color pencils. You can’t see the outside but it is a nice, modern, blue orange and white design with Tardis, Dalek and Cyberman as well as the official logo. 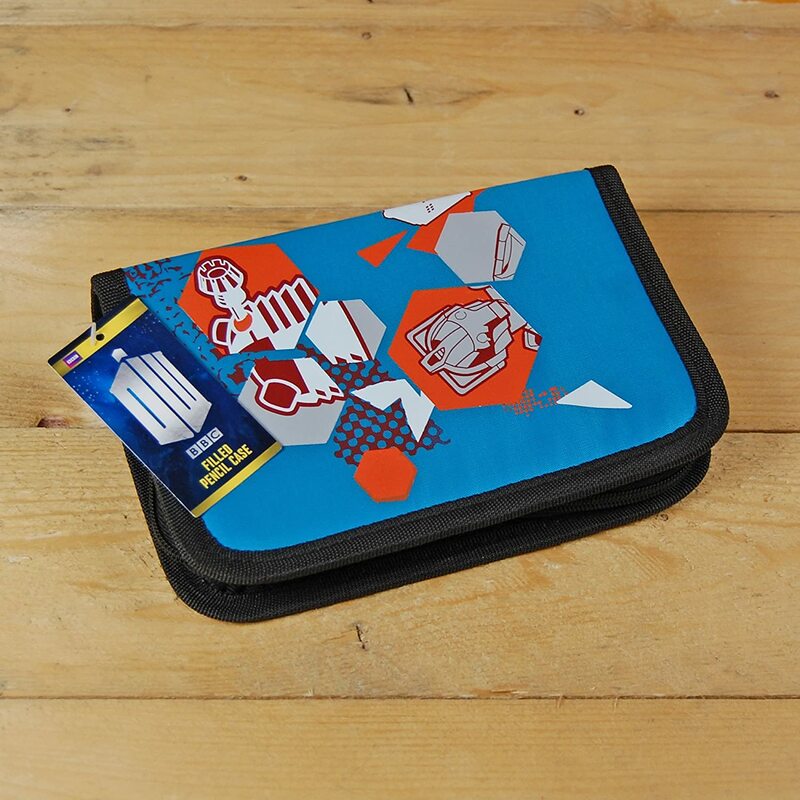 This pencil case looks fresh, modern and large enough to store necessary school stationery and items. And just hope the Cybermen don’t delete, delete, delete. 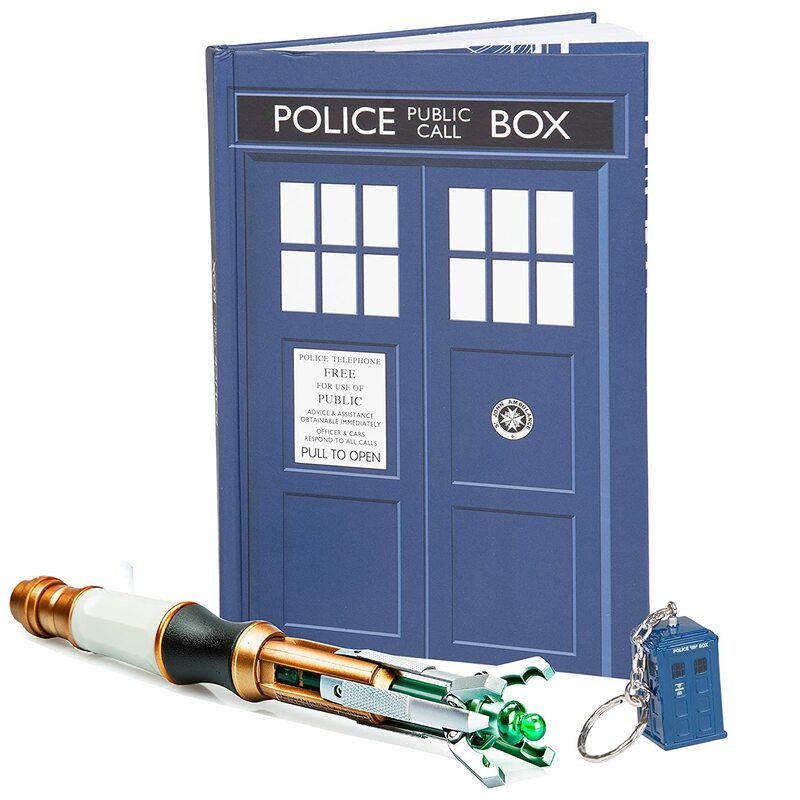 You can also get a Tardis themed pencil case which you might find on an auction site. This has one compartment and is in the shape of the time machine with a zippered section near the top. It looks like it is covered with a shiny plastic material on the outside which makes it easy to wipe clean. Now of course sticky note memos are not an essential school supply but I had to add them in and mention them because they’re just so cool. There is a little set that contains over 300 sticky notes featuring the 11th Doctor, Matt Smith, aka Bow Ties are Cool and so are Fezzes, plus the Tardis and 4 different colored Daleks. Who doesn’t like sticky notes, and the fact you can have fun popping little memos into Lunch boxes or reminders into pencil tins makes them really useful too. They make a great little extra to buy for a fan. Enjoy picking out your back to school items.